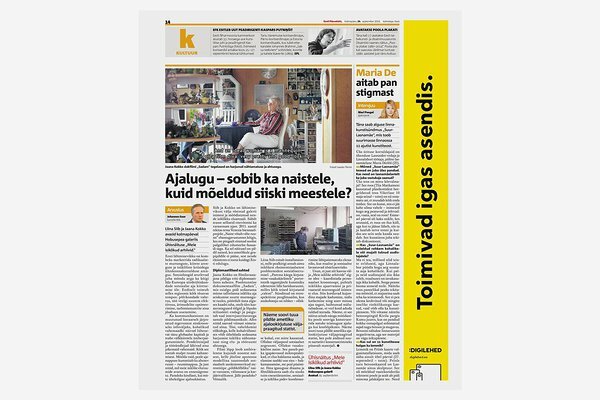 "Postimehel ei ole enam tarvis tulla, sest Digilehed tulevad sinu juurde ise." Paper as a medium for delivering news is becoming obsolete. News are delivered on-line lightning fast 24/7 without the need to walk up to the mailbox. 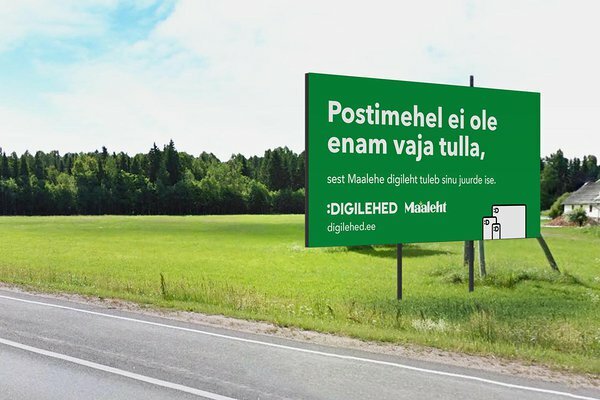 Digilehed ("Digipapers" in Estonian) is an on-line subscription-based news platform for three large Estonian papers: Eesti Ekspress, Eesti Päevaleht and Maaleht. The interface is modern, neat and functional – made for smooth reading both on smartphones, tablets and computers in any browser. Fraktal designed the platform's identity and visual style. 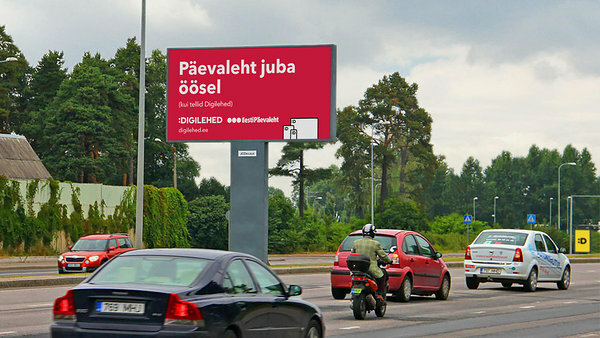 It is based on two simple ideas: the laughing emoticon derived from the letter D (as in Digilehed) and a family of digital devices. We gave the devices a friendly, human look – they are decisively non-technological, super-simplified (look, no buttons!) and abstract. 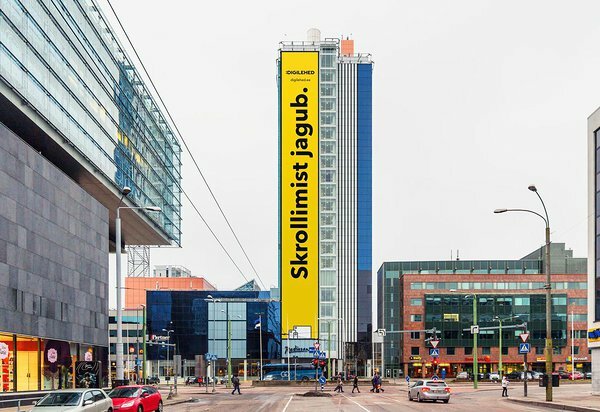 The brand's visual style is clean and contemporary – the focus is on content and not on decorations. 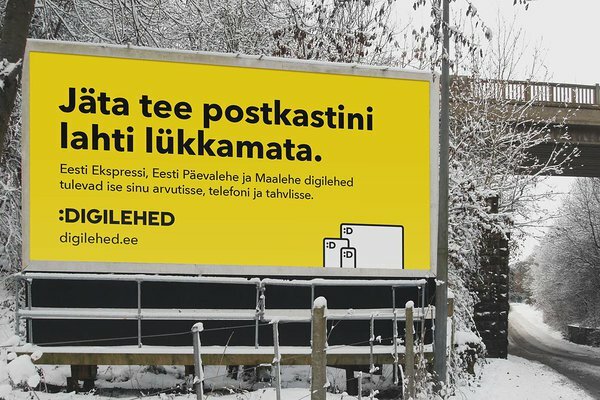 We came up with some advertisement ideas, too, including "Postimehel ei ole enam tarvis tulla, sest Digilehed tulevad sinu juurde ise," that translates to "The postman does not have to come anymore, since Digilehed comes to you by itself" – a play of words, since postimees (postman) is also the title of a competing Estonian daily. "No need to shovel the snow from the path to your mailbox. 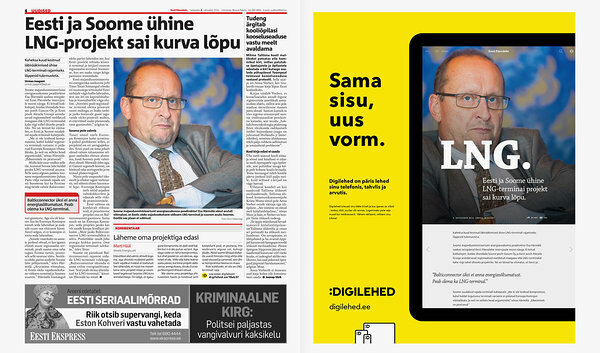 Digital Papers are delivered directly to your computer, phone and tablet." "The postman does not have to come any more, since Maaleht's digital paper comes to you by itself." 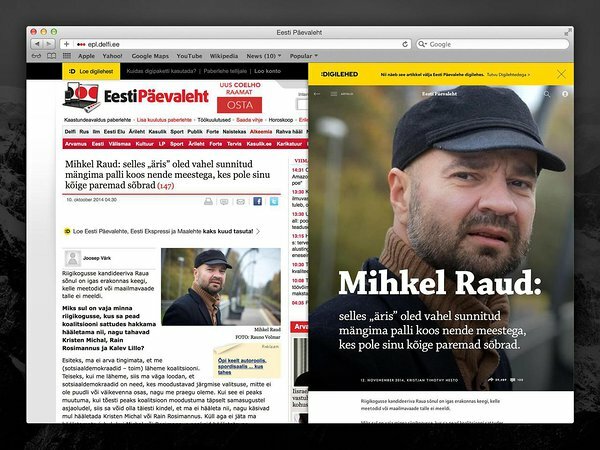 *There's a large Estonian daily titled "The Postman". 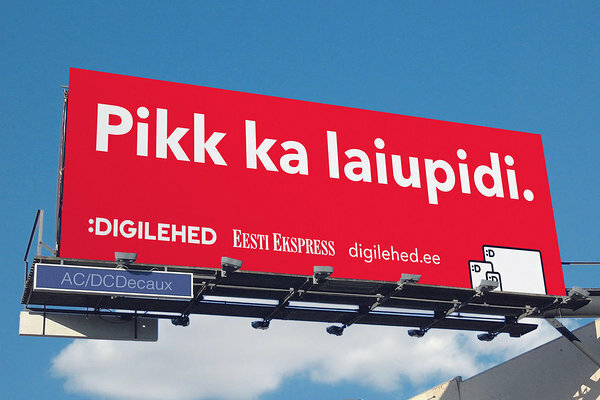 "Daily news already at midnight (if you subscribe to Digilehed)" *Eesti Päevaleht means "Estonian Daily News(paper)"